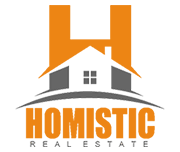 9 King RD Foster RI 02825 | Homistic Real Estate, Inc. 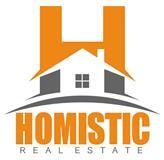 Courtesy Of Homistic Real Estate, Inc.
A rare opportunity to own this unique, very private 14 acre farm in Foster. This charming rustic home has 4 bedrooms, 2 full baths, hardwood floors throughout, first floor master bedroom, brick fireplace with wood burning stove, 1 car heated garage, and a generator for both the main house and guest cottage. The guest cottage also has a 1 car garage and is an open studio style floor plan. There is an in-ground pool with gazebo. This property is beautiful and has so much potential, it is zoned as a multi family and you can stall up to 4 horses in the horse barn with plenty of open space to accommodate just about anything. Come turn this into your own private sanctuary or a working horse farm that's located next door to a wine vineyard. Access King Road from Foster Center Road not Mill Road. Use 10 Foster Center Road in GPS.